Humboldt Park is a large, 207-acre park on the West Side. Humboldt Park is also Chicago Community Area #23 on the West Side. Humboldt Park (the park) is not located in Humboldt Park. 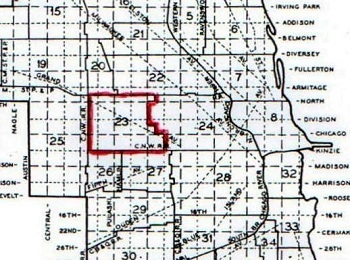 The official community boundaries were drawn up by University of Chicago scholars in the 1920s. They decided that the park was part of the West Town neighborhood. Why they did this is too complicated to explain here. Or maybe it was just another UofC joke. 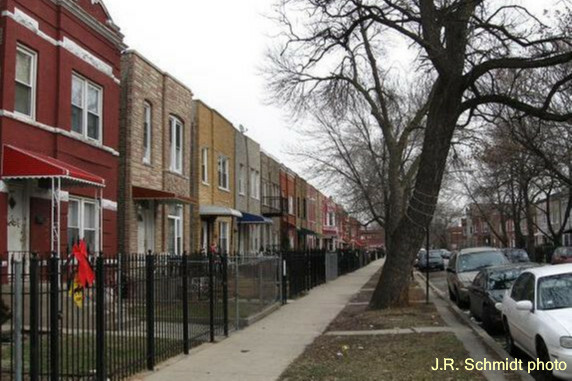 In any event, the subject today is the Humboldt Park Community Area. To keep things from getting too confusing, I’m going to refer to it as HP. In 1869 Chicago annexed much of the current West Side. Work also began that year on building the three great West Side parks. HP, the area west of Humboldt Park, was mostly prairie. The few settlers were connected to the city by Whiskey Point Road (now called Grand Avenue — why did they ever change that name?). The Great Fire of 1871 caused Chicago to adopt new building laws. HP was part of the city, but was outside the fire code limits. Low-cost frame houses could still be built there. Several developers moved in. HP began growing. Most of the new residents were blue collar. Many were employed at the Chicago & North Western Railroad’s 40th Avenue (Pulaski) shops, or in factories along the Belt Line Railroad to the west. Germans and Scandinavians were most numerous. More people moved in when streetcar lines arrived in the 1890s. Block after block of brick cottages were built. They followed a few simple designs and looked very similar. More often than you’d think possible, residents would get confused and try to enter the wrong house. 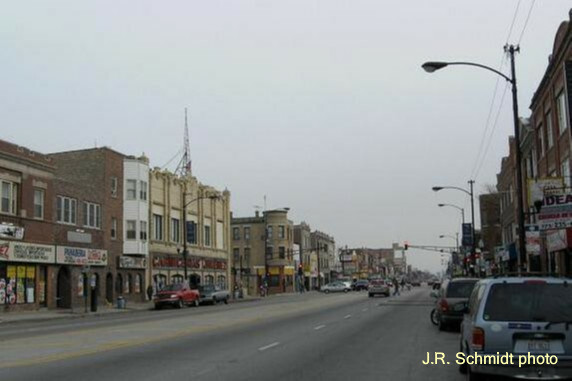 North Avenue, which had both a streetcar and an ‘L’ line, became the main shopping street. The area around North and Crawford (Pulaski) had several banks, theaters, and restaurants. Two-flats and apartment buildings lined the surrounding side streets. HP’s population reached 80,000 in 1930. The Germans and Scandinavians had now been joined by Poles, Italians and Russian Jews. One observer noted that these diverse groups all got along well with one another — unlike their compatriots in Europe, who would soon be fighting World War II. Well into the 1950s, HP looked much the same. The number of residents leveled off at about 75,000. People had jobs, the stores did good business. Yet the times were changing, as seen by the fate of the local "L" line. The Humboldt Park "L" was a branch of the Logan Square main line. It ran over the alley north of North Avenue as far west as Lawndale. There were grand plans to extend the line farther west, as traffic dictated. But instead, the number of riders started dropping. In 1952 CTA shut down the line. But the most traumatic event of the decade was the 1959 fire at Our Lady of the Angels School. The blaze killed 92 children and three nuns and tore the heart out of the neighborhood around Chicago and Hamlin. During the 1960s, the ethnic makeup of HP was transformed. Hispanics moved into the eastern section — the earliest settlers were Puerto Rican, with Mexicans coming later. 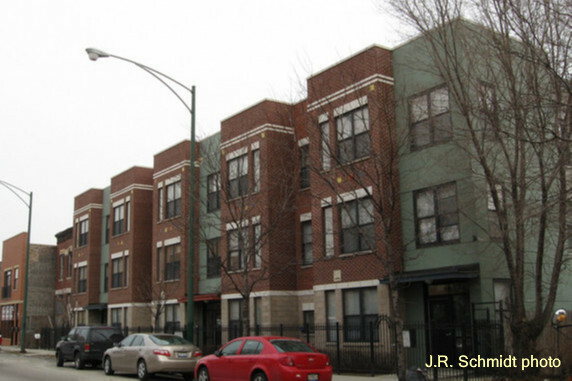 In the blocks south of Chicago Avenue, African-Americans became a majority. At the same time, Chicago’s economy was evolving. Thousands of manufacturing jobs left the city. In HP, many small factories closed. So did big plants like Helene Curtis Cosmetics and Schwinn Bicycles. The city created an industrial park on abandoned railroad land near Chicago and Pulaski. 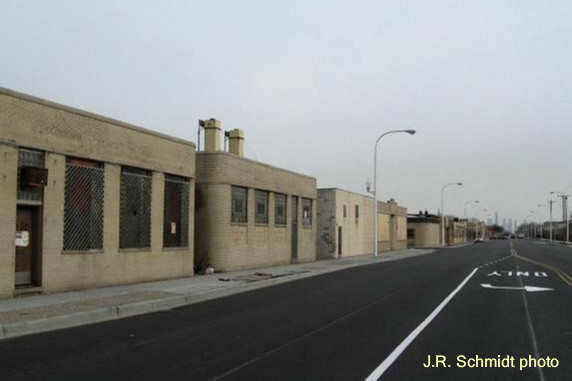 A new municipal incinerator was built on the site, along with warehouses, factories, a CTA garage and Orr High School. However, many parcels within the property remained vacant. Economic uncertainty brought tough times to HP. During the late 1970s, an arson epidemic devastated the community. As vandalism and violent crime rose, more businesses left. Courtesy Motors, at one time the city’s leading auto dealer, shut its doors for good. HP has spent the last three decades hanging on. Some new construction has taken place, though the continuing recession has put many plans on hold. The 2010 Census reported a population of about 56,000. Most of that number were either Hispanic or African-American. Despite the loss of an "L" line, the departure of manufacturing jobs and an arson epidemic, this West Side neighborhood is still holding on.